There are many apps on smart phones and tablets that help me learn about and simply listen to jazz. 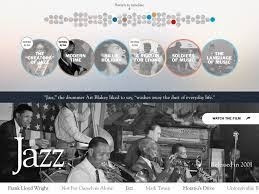 I love seeing the overlap of interactive technology and jazz music! This is my most used jazz app. This app includes multi-genre musical content, ranging from jazz to hip-hop to classical music. Every week there are new articles to read about music from around the world, as well as articles focused on jazz. In the jazz category, there is a wide selection of videos to watch, interviews to listen to, and radio stations focused towards jazz. 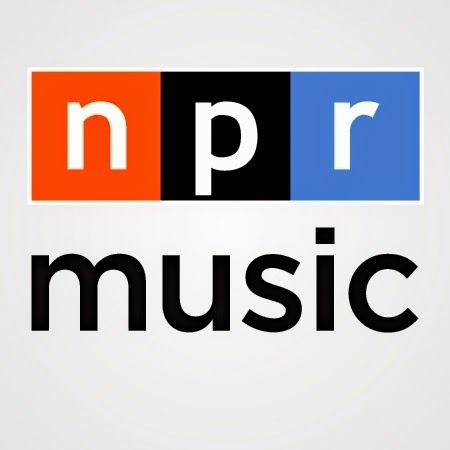 "Live in Concert" videos present an entire concert and "Piano Jazz" is a radio show that showcases artist's upcoming performances, as well as thoughts and memories about their lives. Listen to Paquito D'Rivera on Piano Jazz. "Jazz Profiles" is the portion of the app that I use most frequently. It is a radio documentary series that showcases the legends and legacy of jazz. There is a perfect blend of music, interviews, and history on the artists featured. The Dave Brubeck Jazz Profile is my personal favorite- I have probably listened to it over fifteen times and I never get bored of it. I usually listen to one or two jazz profiles every day. 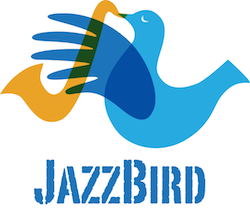 JazzBird is a jazz radio app. It provides a current schedule of jazz radio shows and broadcasts from around the world. In addition, the app highlights the stations that are local from around the Boston area. It is great to hear local jazz music and radio interviews. This is a great app to learn about jazz. The app was made by the Monterey Jazz Festival, and includes artist interviews, artist advice archive, and composition archives. My favorite artist advice is from Wayne Shorter because he emphasizes the importance of reading to a jazz musician. 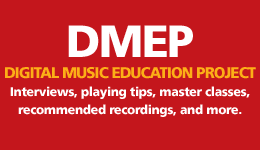 In addition, the free master class videos on this app are very helpful for me. My favorite masterclass video is the Dianne Reeves masterclass because she teaches how to truly communicate a lyric in your own way by stepping back and thinking about how you would say the word in a conversation with your own personality. In celebration of Blue Note Records's 75th anniversary, Blue Note launched an innovative app focusing on the legacy of their artists. It's really interesting to see the Blue Note artists in such an organized fashion. Let's say you went down the list of artists, and picked Dexter Gordon. 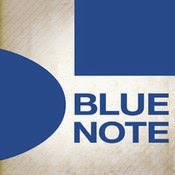 You can then see all of the albums and album art for the Blue Note records he released. Then, you can read Dexter Gordon's biography to learn about his life and watch selected videos of Gordon playing saxophone. There is also a "News" section for each artist which contains reviews of CDs from the past. Perhaps the most helpful part of the app is the "Similar" section, which suggests other Blue Note artists to listen to based on the artist you picked. For example, similar artists to Dexter Gordon are Sonny Rollins and John Coltrane- which helps create connections between artists. Ken Burns is well known historian that has made over twenty award winning documentaries chronicling America's history. This app breaks down Ken Burns documentaries into short two to five minute clips based on time period and topic. In this way, you can watch the history of America in chronological order, and you can see the overlap of topics. In history classes it always bothered me how you learn history by a topic, not by a cluster. For example, we would learn a chapter about the Progressive Era presidents, then a chapter about women's suffrage, then a chapter about disparity of wealth- and I would never realize that although different topics, these events were actually overlapping. On this app, you can see and learn that the beginnings of jazz music coincided with women's suffrage and the popularity of speakeasies, which really clarifies the cultural context of the music for me. Even though all of us are attached to technology by the hip, I think it is comforting to know that while we are on our electronic devices we can still educate ourselves.